Master in Biology-Study Program (MB-SP) Faculty of Biology UGM is established to fulfill competence human resource needs in Biology field. This program has been held since the academic year 1980/1981 which was innitially part of UGM Doctoral Education Institution. Based on Decree of the Director General of Higher Education Depdikbud. 580 / DIKTI / Kep / 1993 dated September 20, 1993 this Study Program became a part of UGM Faculty of Graduate. Later on, based on Decree of UGM Rector No. 89 / P / SK / HT / 2006 dated March 9, 2006, this program became a Postgraduate Program of Monodisciplinary, that is Biology Study Program which is managed by Faculty of Biology UGM, hence the curriculum synergizing from undergraduate to postgraduate levels. As part of Indonesian Educational system, Masters Biology Program (MB-SP) has upheld the Indonesian National Education Philosophy which called Trilogy Patrap Triloka (Ing ngarso sung tulodho, Ing Madya Mangun Karso, Tut wuri handayani) which can be freely translated as Teaching by example, developing harmonious learning environment, and encourage creative thinking and back it with full attention and responsibility. This philosophy has widely known by stake holders, since it is Indonesia education motto from elementary school to higher education and part of our history teaching. MB-SP also adopt Indonesian higher education philosophy called “TriDharma Perguruan Tinggi” which translated into UGM’s philosophy which are: to be the leading national university for education, research, and community services as well as inspiring Lifelong learning (pendidikan sepanjang hayat –Ind) based on Pancasila and Indonesian cultural values. To communicate these philosophy, we put it in our website (www.biologi.ugm.ac.id.) which accessible publically. It was also written in MB-SP academic guidance books and communicate. SS2. The graduates are able to solve problems related to biological resources through an inter- and / or multidisciplinary approaches beneficial to society and scientific community (Specific Skills). The MB-SP has been evaluated four times by the National Accreditation Board of Higher Education (BAN-PT). The first evaluation was held in July 2000 with the predicate of Superior (Decree of BAN-PT No. 025 / BAN-PT / AK-I / S2 / IX / 2000). 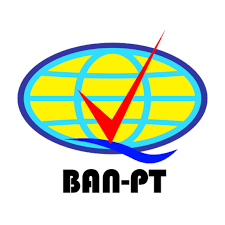 The second evaluation was conducted in 2006 with A (very good) accreditation according to Decree of BAN-PT No. 018 / BAN-PT / AK-IV / S2 / 11/2006, valid from February 16, 2006 until February 16, 2011. The third evaluation was conducted in 2011 and obtained accreditation rating A according to SK BAN-PT No. 005 / BAN-PT / AK-IX / S2 / VII / 2011, valid from July 8, 2011 until July 8, 2016. The fourth evaluation was conducted in 2016 and obtained accreditation rating A according to Decree of BAN-PT No. 0540 / SK / BAN-PT / Akred / M / V / 2016, valid from May 20, 2016 until 20 May 2021. 6. Student Projection and planning include research interest, a research proposal for thesis, the reasons for choosing a Master’s Program in Biology and planning that will be done after completing the master degree. These requirements based on the decree of the UGM Rector No. 11 Year 2016. 2. Graduated Bachelor’s degree in non-Biology need to take Matriculation Courses (Biochemistry, Botany, Ecology, Genetics, Microbiology, and Zoology). Matriculation course start at the beginning of the semester before the regular lecture is held. Prospective students must apply online through https://um.ugm.ac.id/ and the application guidelines can be accessed on https://ugm.ac.id/en/pendaftaran.